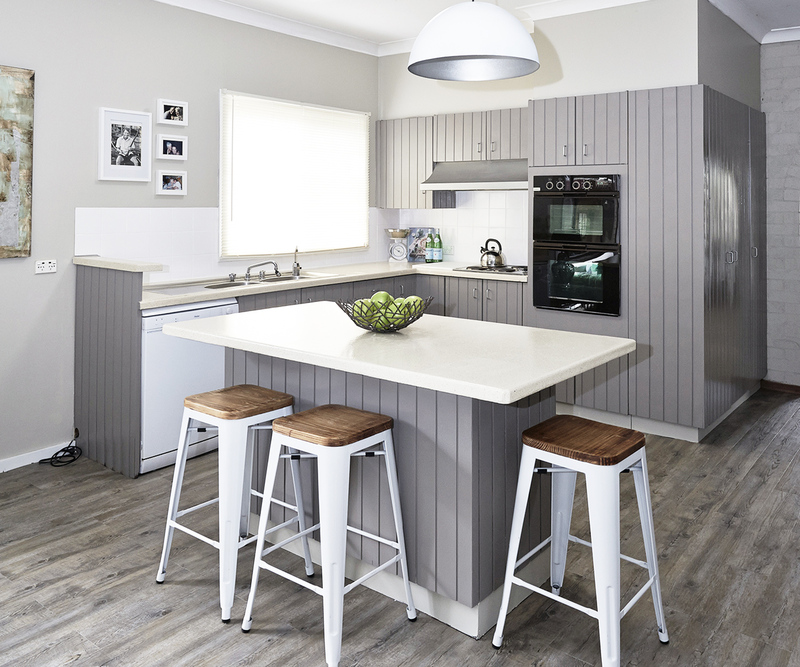 A full renovation of the kitchen is the timely, costly and arduous task, but there are ways to remodel your kitchen without spending a fortune or inconveniencing your family. Here are some tips to renovate your room with spending too much. Add a fresh coat of paint to brighten your kitchen. Matching and mixing colors, design, furniture and models will provide your room with a fresh appearance without spending extra cash. A few ideas to decorate your room in a budget friendly is by placing photography, paintings, wallpapers or images on your wall that are more eye-catching, adding fresh flowers, crown molding and colorful area rug. Install a faux granite counter if you are scrubbing Formica. Provide your old cabinets (sink or an island cabinet) with a facelift by painting, prefacing and refining them. Try to paint on top or bottom of the countertop with different colors to create contrast. Purchasing countertops can be a bit expensive, however, there are cheap options out that won’t cost you a fortune. Consider buying materials that are less expensive for your countertop. Replace the hardware of your cabinet with a high-end stylish hardware. You can also remove few doors of the cabinet to create an open display to give your kitchen room a focal point and make it appear larger. Illuminate the kitchen room with lighting layers and mixing them with different options and styles to set the mood. Buy and install a cart on the wheel or a Kitchen Island to add the aesthetic look and make your room the focal point. Ceramic tiles resist stains, dents, and wears, solid wood flooring is hard to clean, easily discolor, dent and wear out. Vinyl floors are stain-resistance, long-wearing and easy to install. Therefore, chose the right floor wisely. Replace your floor with vinyl designs which are budget friendly, unlike ceramic tiles which are more expensive. Install a new faucet, sink, and appliances. It is comparatively a less expensive remodeling that will percolate your kitchen. It also never hurts to modernize your kitchen with some friendly home gadgets. Remodeling your kitchen doesn’t mean that you have to upgrade the whole kitchen. Visit a showroom to narrow your options and get to learn more ideas that you can use to upgrade your kitchen without spending a great fortune.